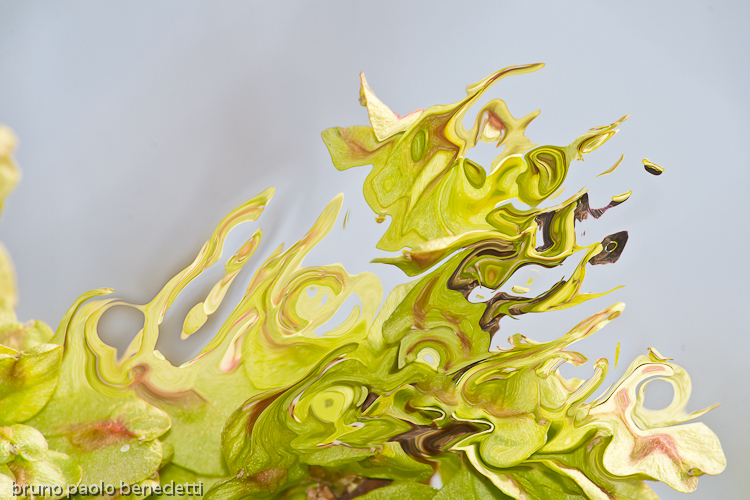 The colors of the nature inspire this abstract non objective photography artwork. From fluid pink shapes rises a violet wave. Non objective photography is a good way for transmitting emotions. Altough the picture interpretation is always based on personal sensibility and experiences we can always create in the watcher specific emotions. The light tones and shades, the soft light evoke, like in this picture, a calm mood. The combinatin of shape and colors in this artwork give you a good sensation of calm and serenity.